Thank you to everyone who donated. Although the campaign did not receive the full amount to cover all the food costs for both meals/day it was enough to add the second meal of dry dog food and still feed them 2 meals/day through a majority of the winter. Will you be their Santa Paws and help the amazing pups at Pawsitive Rescue eat 2 meals a day during the cold winter months? My name is Sarah Jones (Christiansen) and I am an animal loving Virginian currently volunteering at Pawsitive Rescue , an NGO shelter in Yerevan, Armenia, until I return back home to the US in the spring of 2019. I arrived in Armenia earlier this year and saw the heartbreaking situation regarding stray animals and the serious lack of shelters/support. I knew I had to do something and since I cannot take them in myself, I am helping those that do by volunteering at Pawsitive Rescue. In addition to helping at the shelter though, I still have an ache in my heart and the need/desire to do more for these wonderfully loving dogs. So...TAH-DAH! I created a holiday season GoFundMe campaign to help raise money and assist the shelter in their dream (and the dog's dreams too) to be able to provide 2 meals a day, instead of just one, to all 127 dogs during the cold winter months. 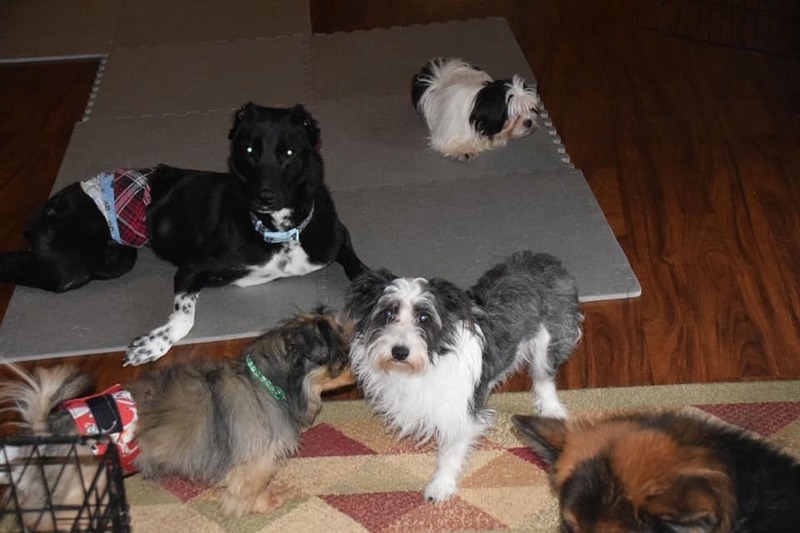 I am also reaching out to pet related companies and services, such as the Loudoun Pet Sitting Company to help me reach as many pet lovers as and any back home and spread the word as far as it can go that these pups need your help! $30 feeds one dog for 1 whole month! So, let's make a deal! You donate to help provide the 2 meals/day during the winter months and I will be here, at the shelter, on Poo Patrol to pick it up! 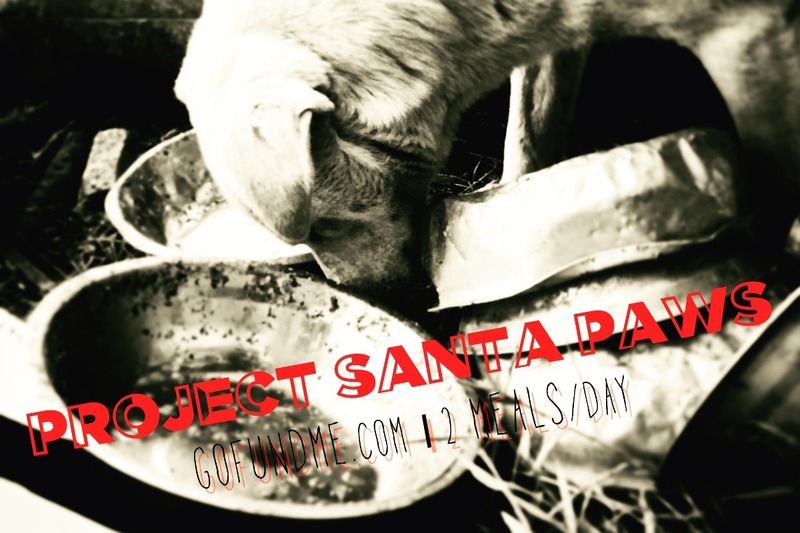 AND please help the pups by sharing info about the Project Santa Paws GoFundMe. By sharing, you also help spread the word that YES these pups are available for adoption IN THE US and could help lead them to their new forever home! 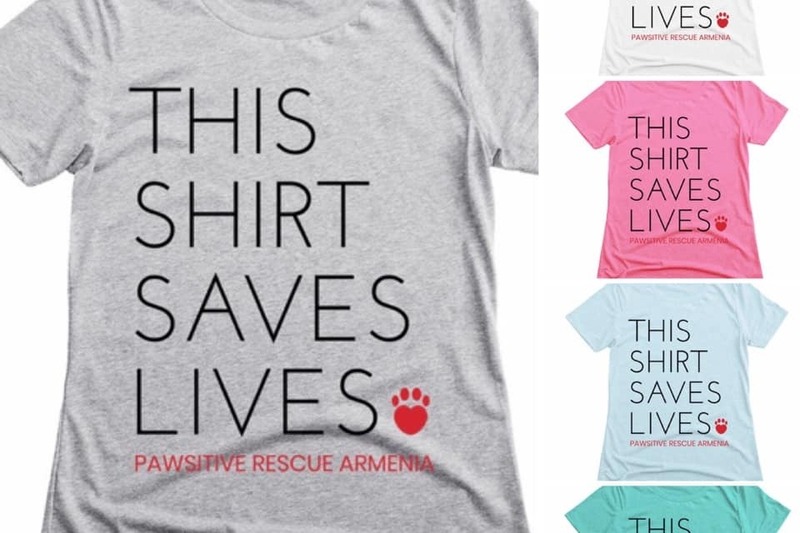 Pawsitive Rescue Armenia is a registered Non-Governmental Organization based in Yerevan, Armenia that provides shelter, medical assistance and care for abandoned or homeless dogs/cats. It currently fosters 127 rescued dogs in its volunteer-run shelter. The NGO was created in 2014 to rescue animals from the streets of Armenia, provide medical assistance, sterilize every dog to reduce overpopulation of stray dogs and find them shelter through pet adoption. Pawsitive Rescue has helped many dogs find a loving home in North America and has sterilized over 400 dogs to try and reduce the stray dog issue. It has literally saved the lives of hundreds of dogs from across Armenia by providing medial care and homes for injusted and abandoned dogs. They are a non-profit organization who is run exclusively by volunteers. All of its funding and operation costs are through donations and charity. Good question. I live in Purcellville, Virginia with my husband, daughter, dog (Gritz) and cat (Sir Kingsley). I had a petsitting/dog walking business that I ran and operated there until my husbands' work needed him to move to Armenia for a project for 1 year. So, I sold the business, we rented the farm, my dad is watching our dog, the cat stayed with the farm, and here we are. Thank you VERY MUCH for your time and donation. The fundraising campaign will run until May 1st. Ship from the USA to USA & International addresses. 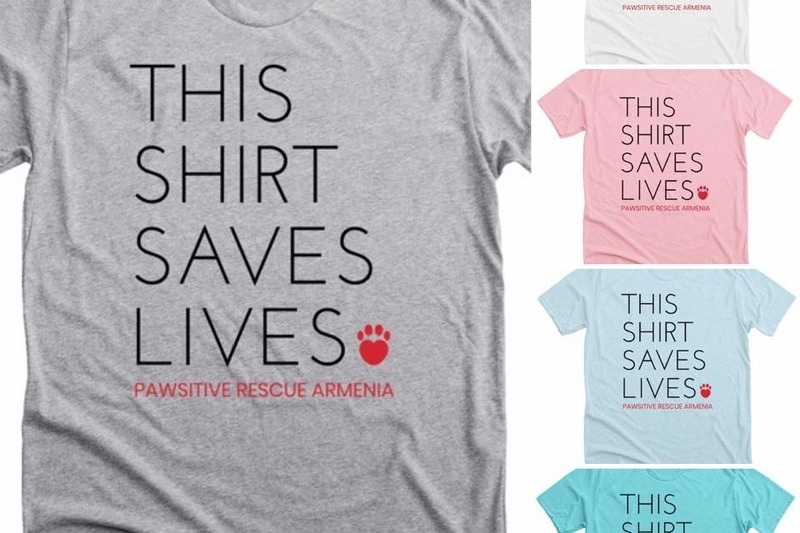 Pawsitive Rescue has received lots of TV & radio news coverage lately in Armenia, which has been absolutely great in bringing local attention to their organization and what they do. In turn though, It has significantly increased the amount of emergency calls they are receiving and with every call comes a cost to Pawsitive; transportation, medical, care, & food. LUCKY MADE IT TO NORTH CAROLINA! This is another example that miracles do happen, and with love and care anything is possible. Pawsitive Rescue is thankful to Anais for treating him and fostering him for months. This would not have been possible without her. We are grateful to Amy and Lily for opening their hearts and doors to another Armenian dog. 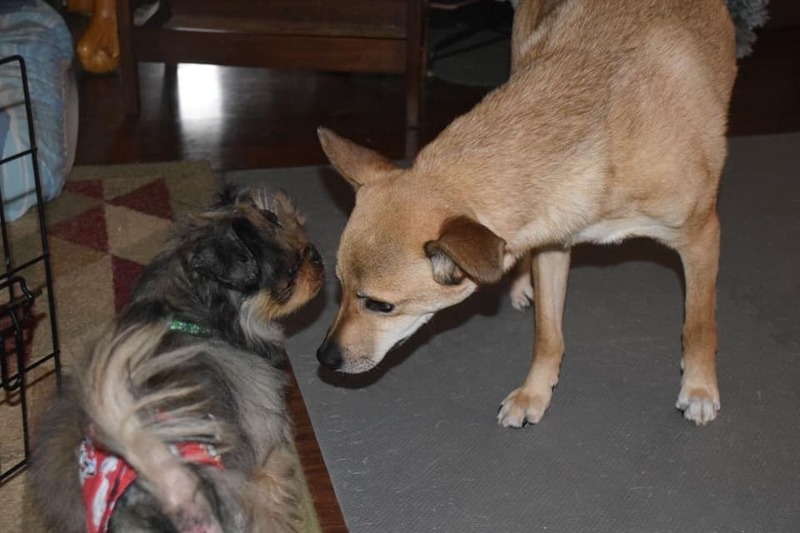 In the pictures, Lucky is being introduced to Sevo and Oddie, both from Armenia too, at his new home in North Carolina. Amy says it felt as if they new that Lucky was from Armenia too. Thank you to everyone who helped with his travel expenses. This wouldn’t have been possible without those donations! THANK YOU! Lucky has received enough donations to travel to his new forever home in North Carolina! The ability to donate has now been turned off to this and his campaign, but it will remain open to view and will be updated with Lucky's travel dates, and pictures in his happy new home. 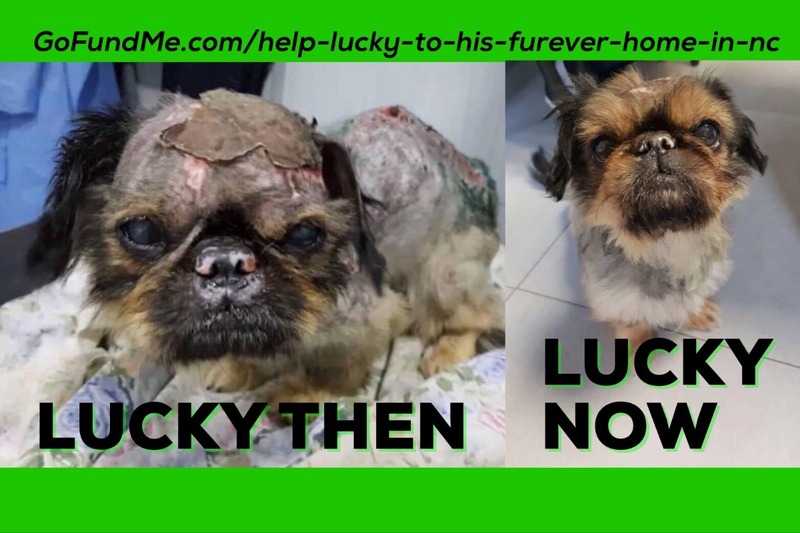 Funds for Lucky were raised in just two days (direct and through GoFundMe) and it could not have been done without amazing, caring people like you! Please visit the GoFundMe set up for LUCKY at..
And thank you VERY MUCH for your donations to Project Santa Paws. Together we raised $6,615.55 to feed the dogs at the shelter two meals a day during winter. Although the goal of $16,000 to cover all the shelters food expenses was not reached, this campaign was in no way a failure. Pawsitive used the funds to purchase the dry dog food for their morning meals and they all still received two meals a day. THIS WOULD NOT HAVE HAPPENED WITHOUT YOUR DONATION! I leave Sunday, March 10th back to the US, my heart forever touched by the amazing dogs, people and other volunteers at Pawsitive Rescue. My work with them will continue in other ways as they are family now.